Once the excitement of Christmas is over and the decorations have been packed away, it’s a great time to start planning for the year ahead. As a nation which is obsessed by property ownership, it’s perhaps not surprising to learn that the New Year is the most popular time to consider embarking on a home improvement project. According to the Office for National Statistics, people in the UK will spend almost a whopping £30 billion on upgrading the inside and outside of their house during the next 12 months. A complete kitchen redesign has to be the ultimate home improvement. If you’d love to benefit from a light and airy communal space which everyone can appreciate, a major makeover might well be at the top of your list. If you do have grand plans, make sure you’ve got the budget to match your ambitions. It also pays to carefully plan every last detail - you don’t want to change your mind after ripping out a wall! 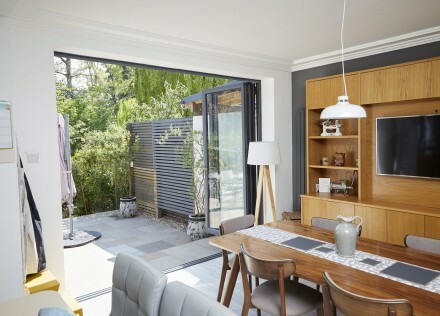 For those homeowners who are lucky enough to enjoy a large kitchen which can accommodate a busy family, you may want to flood it with natural light by installing a set of beautiful aluminium bi-folding doors overlooking the garden. Getting more organised is always up there at the top of the New Year’s resolution list. Grab a bargain in the January sales and stock up on storage boxes suitable for the task at hand – whether it’s to tidy up a spare room, junk cupboard or loft. 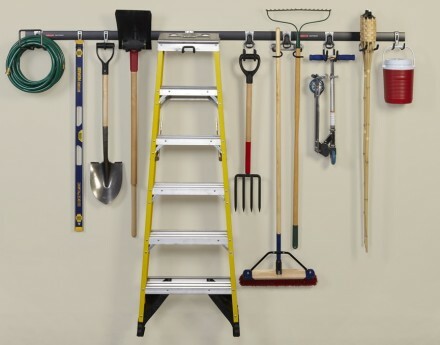 Clearing out the garage can actually be a great place to start because the extra space created can be used to declutter other problematic areas. The start of a new year always makes homeowners think about how they can be more energy efficient. 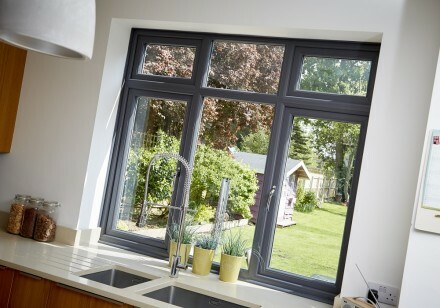 Installing new A-rated windows is one of the best ways to reduce your heating bills because their seals help to minimise drafts and keep heat inside your home. They’ll also make your property look modern and fresh. Win, win. 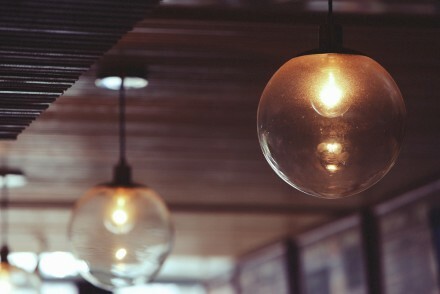 Lighting should never be overlooked during the home improvement process. Get it right and you can literally shed a whole new light on your interior design theme. The best-lit rooms use layers of light which blend well together. Recessed lights and spotlights are great for focusing on a specific area. Under-cabinet lights and lamps can help to achieve the desired effect. Investing in a new front door will ensure guests always receive a warm welcome. For restricted budgets, UPVC doors (pictured above) are highly secure and super stylish. If money’s no object, a composite door is guaranteed to give your property kerb appeal. 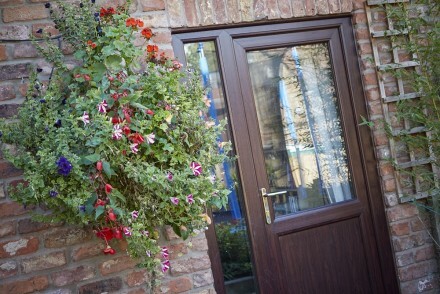 Or why not go the whole hog and design a bespoke porch for an extra inviting entrance to your home? Extending your home usually makes more financial sense compared to the cost of moving. Some property experts estimate that adding extra living space can improve the value of your home by as much as 10 to 15 per cent. 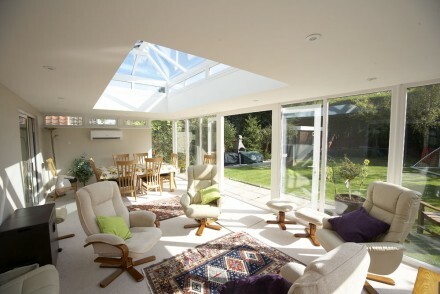 So, it’s no wonder people start the year by drawing up grand plans for a new orangery, extension or conservatory. If you want to knock down a wall to reconfigure an awkward layout or improve your property’s footprint by a few square metres, the transformation team here at EYG can handle home improvement projects of every size. It could prove to be the shrewdest investment you make all year. Start your project now, pay next year! If you want to improve your home, but haven’t quite saved up enough to do so, why not take advantage of our flexible funding plans? You won’t need to pay a deposit - and there’s nothing to pay until 12 months after completion. Hassle free home improvements. Not sure where to start? Click now to learn how to prioritise your home improvement projects! Turn your dream into a reality - get in touch or call 0800 181 888 for more details.